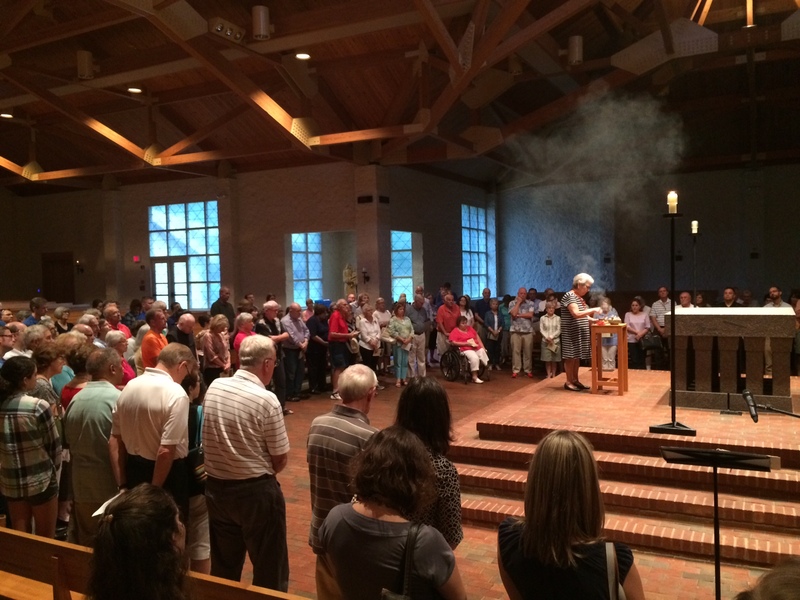 It was a wonderful evening as we came together to pray for peace last night. After the readings and words from Fr. Steve Patti, we processed through the church singing a chant for peace while a drum beat marked time. Then we gathered in a large semi circle in front of the altar and parishioners were able to come up and say a personal peace prayer. The incense carried the prayers up to God as we all gathered, unified under one prayer, “Lord, make me an instrument of peace”.